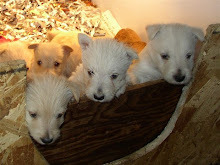 We currently have Wheatens for sale! Ginger and Duncan had a litter - 7 puppies! 6 Females and 1 Male on May 28. If you are interested in reserving a pup from this litter, you can download a copy of our contract here.